Here you'll find step-by-step DIY instructions for simple home improvement projects that you can do yourself -- without hiring a handyman or contractor. Also, see which home improvement projects you shouldn't tackle yourself... and why! Converting a 220V hardwired connection into a 110V standard plug when you install a gas stove is best left to a trained professional, but you can see here how it’s done first. Here’s my gas stove installation story — including 3 setbacks that I encountered while installing a gas range in my kitchen. Concrete cinder block walls are sturdy and easy to build, but can often be unattractive when compared with the rest of your home. By covering a cinder block wall with surface bonding cement, you can increase the water resistance of the wall as well as the durability while creating a uniform surface that will blend with most architectural styles. Knowing which deck stain to choose is only half the battle. I recently refinished my 21 year old deck and I want to share the tips and tricks I’ve learned about finding the best deck stain and how to clean and stain a deck. It’s a great diy project that can be done in one weekend. Have a broken garage door? Should you try DIY garage door repair or call a professional? Here are the 10 most common reasons your garage door isn’t working, which ones you can tackle yourself, and when it’s time to call for professional garage door repair. Find out here if you have the right tools, the time, or the knowledge to take on this repair project yourself. 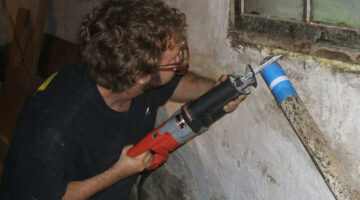 Knowing how to cut cast iron pipe is essential for do it yourself plumbing repair projects. There are basically 3 ways to get the job done: a hacksaw, a cold chisel, or a snap cutter. See which one is BEST for cutting cast iron pipe. What you put on the ceiling is just as important as what you put on the walls. Used in the right room with the right accents, things like vinyl, aluminum, Styrofoam, and tin ceiling tiles can add a stunning punch that’s different from the other rooms in your home! Here’s what real ceiling tiles and faux ceiling tiles are like, how much tin ceiling tiles cost, and the steps for installing tin ceiling tiles yourself. 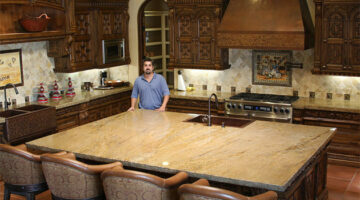 Wondering how to get your hands on cheap building materials for your home remodel or new home? Construction materials are expensive, but I’ve got a few ways for you to save big bucks when remodeling or building a house on a budget. Hint: You don’t have to be a contractor to get the contractor discount! Ready for some DIY drywall repair? Drywall spackle and sanding tools are important to get the job done and I’ve included my best tips to do it yourself! 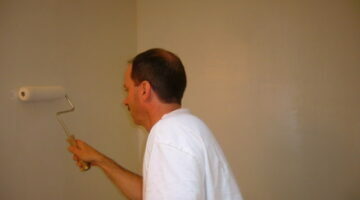 Don’t want to harm yourself or the environment when painting? Consider these non toxic paint remover ideas if you’re concerned about using eco friendly ways to remove paint. Soy gels, boiling water with baking soda and 3 other eco friendly paint removers.